Radiate radical confidence and sophistication with the John Varvatos Collection® Essex Trooper Boots. Lace-up front tie closure connected through blind eyelets. Durable lug leather outsole with square heel. 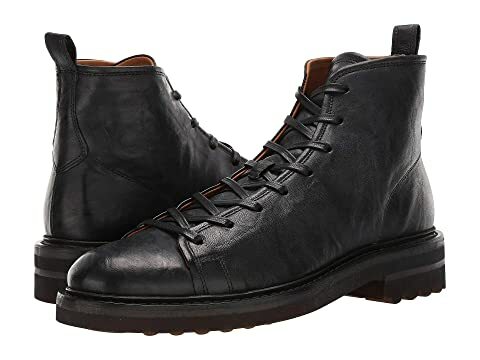 We can't currently find any similar items for the Essex Trooper Boot by John Varvatos Collection. Sorry!